At Anna Maria Oyster Bar, it’s really important to us to honor America’s veterans, and not only on special occasions like Veteran’s..
Halloween is one of our favorite holidays at Anna Maria Oyster Bar! 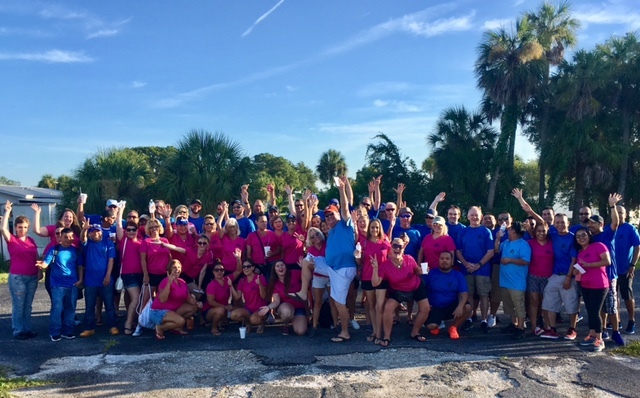 Staff at each of our stores joined in on the festivities by dressing..
Anna Maria Oyster Bar is a proud member of the Sarasota-Manatee Originals, a group of locally owned restaurants who share a passion for..
Today is our annual Longevity Trip! This is a really special day for us because we get to celebrate our incredible teammates (really,..
Prime Rib Now On Sundays! …beginning in August, you can now get your Prime Rib fix ALL DAY on Sundays,..
What a FUN first-ever AMOB Summer Fest! Rain couldn’t dampen the FUN at our first-ever Summer Fest! We had a wonderful time at Summer Fest on Saturday, and we hope you did, as.. Happy Father’s Day from Anna Maria Oyster Bar! At all four locations, Dad receives a complimentary beverage and can enter our drawing for..
Well, summer in Florida has struck again and with the tremendous volume of rain recently (summer in Florida, what can we..
We are pleased to celebrate the accomplishments of our student staff members! Successfully balancing academics and work, most of these..
SILVER ALERT! John’s hair seems to be turning a little more silver in color each day……coincidentally, that matches the color of our Gulf..